What does your small business need to know about social media? Social media has invaded almost every aspect of daily life. Ever since MySpace exploded in popularity in the early 2000s, social networking has become more and more pervasive over the years. That site eventually fell out of favor and has been supplanted by a wide range of others, most notably Facebook, Twitter, Pinterest and Instagram. Social media touches almost every aspect of a small business as it affects reputation management, marketing and even internal productivity. Owners need to understand how the online sensation affects their companies. Here’s a look at what you need to know about social media and how it impacts your small business. The rise in connectivity has also increased transparency for small businesses. Consumers can see how a company functions and what customers think of that organization simply by logging into Facebook to look at comments and recent posts. When there are problems within a corporation, it’s crucial for owners to take to social media and gain control over the public’s perception of the situation. “It’s no longer the Golden Hour, but the Golden Minute. Lack of a well crafted, well meaning response could cost you,” Gemma Craven, executive vice president of 360 Digital Influence at Ogilvy, told Mashable. Indeed, even the slightest delays can do irreparable damage to a business’ reputation. Responding quickly and honestly is the best way to ensure that consumers won’t think ill of a company. Social media was originally created to connect people and allow the to contact anyone around the world. Small business owners quickly realized that they could capitalize on this new digital resource to reach out to consumers and bolster brand recognition. Facebook and Twitter are probably the best networks for achieving those ends because they feature a wealth of marketing features and large user bases. On the former, entrepreneurs can create intricate profiles that actively engage followers. On the latter, small business owners can post updates and include links to multimedia content. What’s more, the competition between the two has lead to the creation of new digital resources that entrepreneurs can capitalize on. Twitter gained an edge over Facebook when it started Vine, a video service that allows users to record six-second clips and post them online. Mark Zuckerberg didn’t let his rival enjoy its moment in the sun for too long as Instagram, which is owned by Facebook, recently debuted a new video feature that records 15-second clips that can be edited together. That’s to say nothing of the other social networks that can also boost marketing efforts. For instance, using Google+ adds authorship to blog posts, which provides enhanced search engine optimization. Meanwhile, Pinterest might be the best option for sharing pictures and increasing engagement through a visual medium. Small business owners should carefully choose which social networks are best for their marketing campaigns. Every site can help an entrepreneur achieve different objectives so it’s critical to consider all possible options. This probably doesn’t come as a surprise to many small business owners but social media is harmful to productivity at work. According to a survey from harmon.ie, 60 percent of all disruptions involve digital resources like social networks, email and instant messages. Approximately 45 percent of poll respondents stated that they can only work for 15 minutes or less without being distracted. Ultimately, this shows that entrepreneurs should probably block social networks in their establishments. Facebook, Pinterest and similar sites only need to be accessed by marketing professionals who are trying to help a company grow online. All other staff members do not require access to social media because the sites aren’t critical for their jobs. 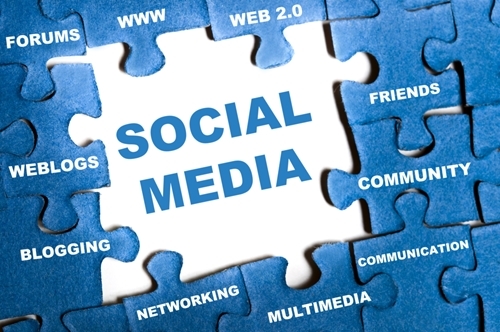 These are only the basics of how social media affects your business. Learning about various networks can help you improve your company.